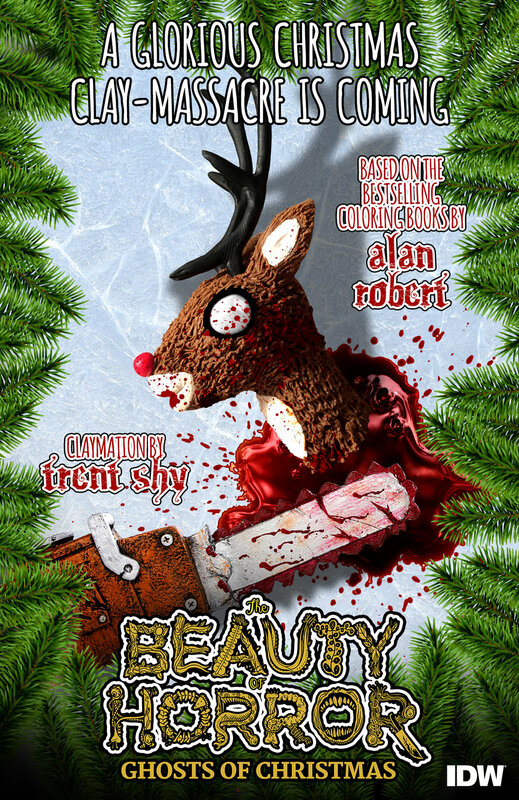 Timed to coincide with a special holiday-themed coloring book release from IDW Publishing, titled The Beauty of Horror: Ghosts of Christmas, creator Alan Robert and animator Trent Shy plan to dismantle the North Pole by unleashing Robert’s gruesome characters upon Santa’s Workshop. “This will be our goriest film yet, and I’m very excited about that. It’s going to be insane,” says Shy. “The Beauty of Horror: Ghosts of Christmas Coloring Book” by Alan Robert arrives in stores October 2018 from IDW Publishing.